It’s easy to see why Ireland is one of Europe’s most visited tourist destinations. 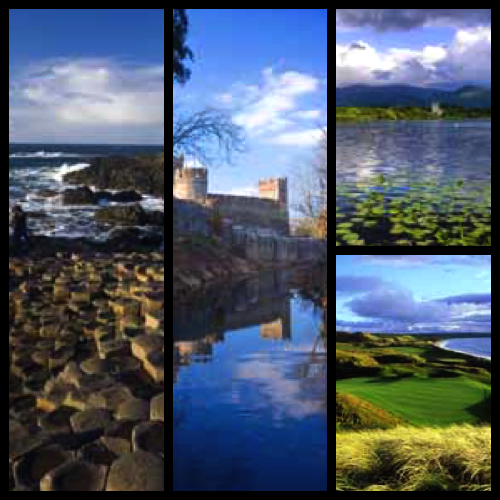 Rich in culture, history and tradition, it’s home to ancient castles, natural wonders, magnificent gardens and golf courses, Irish pubs – and some of the most charming and friendliest people on earth. Oh… and did I mention the Guinness beer… it really does taste better in Ireland! This entry was posted in Europe, Fun Things to Do, Travel and tagged belfast, blarney castle, book of cells, cliffs of mother, connemara, cork, cork day trip, dingle peninsula, dublin, galway, game of thrones tour, gap of dunlop, giants causeway, guinness brewery, ireland, killarney, ring of kerry, rock of castle, titanic museum, trinity college on April 27, 2015 by Alana.